Construction of the airfield began in 1917 because Britain needed more aircraft to fight in Europe during the First World War. It was built on farmland and on Kenley Common, which was owned by the City of London and being used as a golf course. During the First World War the airfield was on ‘Aircraft Acceptance Park’ whose role was to prepare aircraft for service abroad. To house the planes, seven large hangars were built at the southern end of the airfield. After the war ended in 1918, Kenley was kept as a permanent Royal Air Force (RAF) station and used by training and fighter squadrons as well as for leisure and cargo flights. When Germany re-armed and expanded its forces in the 1930s, Kenley was modernised to meet the renewed threat. Two crossing concrete runways and a perimeter track were built, so that aircraft could take off and land in all weathers. The new, faster monoplane fighters needed a longer take off run so three redundant hangars were removed to lengthen one of the runways. 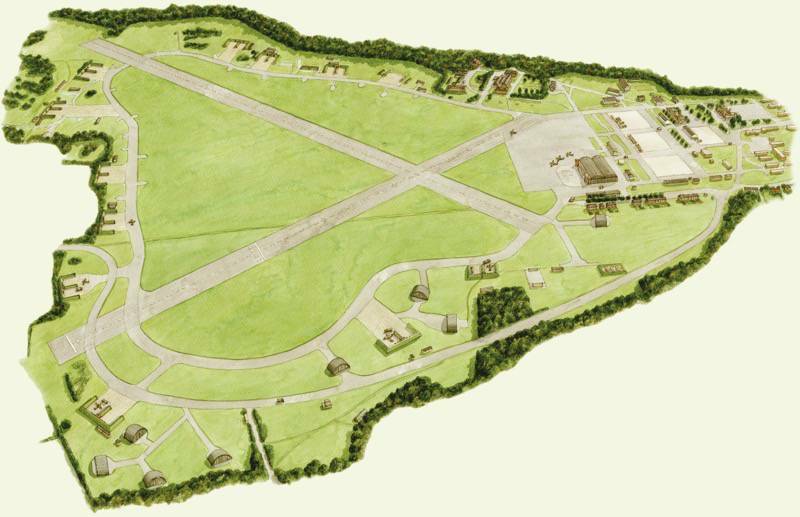 The airfield was enlarged by closing the old Hayes Lane, which had formerly split the airfield in two. 13 blast pens were also added, in which aircraft were dispersed around the airfield. None of the original hangars survive today, as three were destroyed in 1940 and the last burnt down in 1978. Other buildings have also gone, but most of the blast pens, the NA AFI and the Officers’ Mess are still here. These important features are protected as scheduled monuments and listed buildings.